When I examine people’s diets, one of the most common weak areas is insufficient vegetable consumption. I understand the issues: sometimes it is the flavor of certain vegetables, the time it takes to prepare them, and I see very few people who crave vegetables like they might other foods. But I also understand the advantages of increasing vegetable intake to the recommended 3 cups per day. 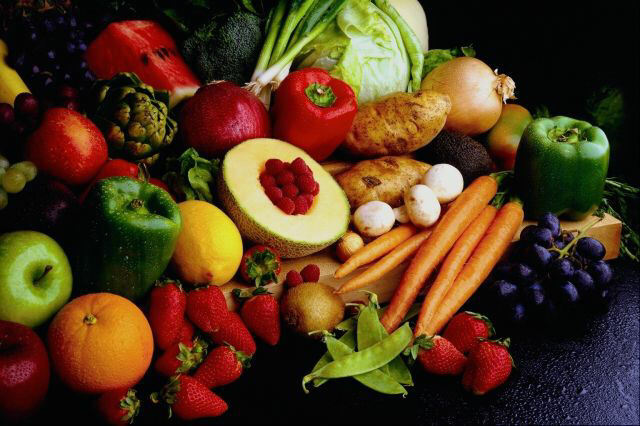 Vegetables and fruits are not only high in vitamins and minerals; they are also rich in diverse antioxidants that are as vital to our longevity. Numerous studies have shown the benefits of diets high in antioxidants from foods in helping prevent cardiovascular disease. When they study a single antioxidant like Vitamin C, they don’t find the same preventative benefit as with the complete package offered in produce. The natural matrix and cofactors found in fruits and veggies enhances the absorption of vitamins so that getting a few milligrams of a vitamin from vegetable might be the equivalent of hundreds in a supplement. To help you get more of these benefits, here are some of my favorite tips for increasing vegetable intake. Keep it colorful. Every different color represents a different antioxidant. Use prewashed salad mixes to add quick salads to any meal. If you make smoothies, add greens to them. Try baby greens or sprouts or anything else tender that your blender can grind up. Throw sprouts or grated vegetables on sandwiches, wraps and salads. Broccoli sprouts highly concentrate the cancer preventing compounds of broccoli. Keep frozen veggies around for when you don’t have time to chop some up yourself. Freezing doesn’t destroy too many of the nutrients. Add flavor to nearly any vegetable by sautéing it with olive oil and garlic. Add a splash of vinegar at the end, I like balsamic. Use veggie sticks from carrots, celery, cucumber and/or bell pepper to dip in hummus or other healthy dips. If you are still not getting enough veggies, consider adding a green food powder to your regimen. This entry was posted in Health and tagged antioxidants, cardiovascular risk factors, vegetable consumption. Bookmark the permalink. very useful and straightforward – thank you! I am glad you liked it. Feel free to add any of your favorite tips, too!